For those of you who've never heard of this game, it is about an octopus in disguise. You play as Octodad, an octopus masquerading as a human with a wife and a couple of kids. It’s your job to control his unwieldy limbs to make him appear as human as possible. 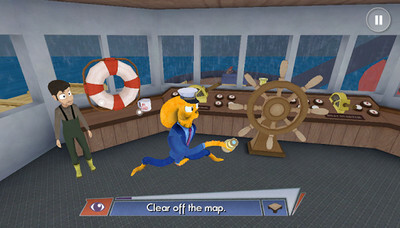 Octodad Dadliest Catch 1.0.17 for Android is a real catch and you should get it now IF YOU HAVE A POWERFUL ENOUGH DEVICE! The game runs very well on my S4, surprising for an older phone. My device doesn't overheat like some apps/games (ie GTA, epsxe...). 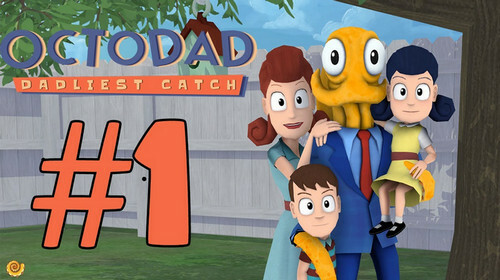 Octodad Dadliest Catch is definitely worth the asking price. Overall, a great game, just a little advice, the 1 GB of ram devices can survive 2 levels, but cannot pass the 3rd level. - Octodad’s wacky physics create hilarious moments that are different every time. Be surprised by the randomness of Octodad’s flailing or express your own sense of humor by making Octodad do silly things. 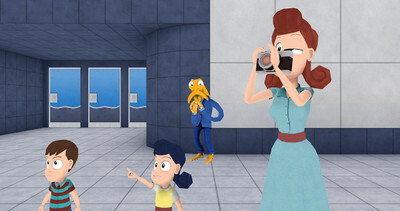 - An all-new adventure that explores Octodad’s world, relationships and backstory. 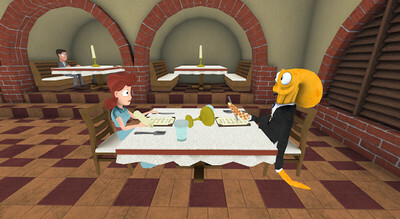 - Complete Octodad’s sartorial style by collecting and wearing a variety of hidden neckties. - Enjoy additional NVIDIA PhysX features through playing on NVIDIA SHIELD as featured in SHIELD Hub. - Reduce some gameplay-related crashes. - Reduce memory usage in Sea Legs. - Fix missing collision in Home, Sweet, Home, and Dad Romance. - Slightly reduce speed of Chef in Gervason’s Grocery. - Enlarge triggers in Shark Naked to reduce events being missed by low framerate. - Fixes an issue where the patient would disappear in the Hospital short. - Marginally lower texture memory usage in Aquarium Hub level. - Reopen compatibility with some mid-range devices. - Resolves a potential crash with devices that do not have a Google account. - Marginally lower memory usage to help reduce some crashes on 1GB RAM Android devices. The game requires Samsung Galaxy S4 or higher for best performance, although game may run acceptably with older devices. 1GB RAM or higher required. Android TV devices require a gamepad to play. - Android Marshmallow requires explicit read/write access in order to save and access additional game files. - Please ensure Google Play Games is up to date, which you can search for on the Google Play store. - Try restarting your device or reinstalling the app if you are having issues opening the game. - If the game does not reach the main menu, please try reinstalling from the Play store. The game may not have finished downloading the entirety of the content. - Closing other applications could improve performance and stability.